Marimba One is the manufacturer of the world’s finest percussion keyboards and mallets. Designed and built in Arcata, California, our world-renowned instruments and mallets are beautifully handcrafted to inspire passion, musicianship, and the perfect sound. Individually handcrafted and built by our craftspeople, Marimba One Instruments are a true work of art in any musical setting. From the Rosewood that is hand selected down to the design of the frames, we build each instrument as if it were our own. Every instrument we build is individually voiced. We balance the timbre of all bars and individually match every resonator to each bar to insure that its voice is pure and uniquely musical. Check out the One Vibe! New Marimba One Wave Instruments! Innovation and quality of sound is at the heart of Marimba One. 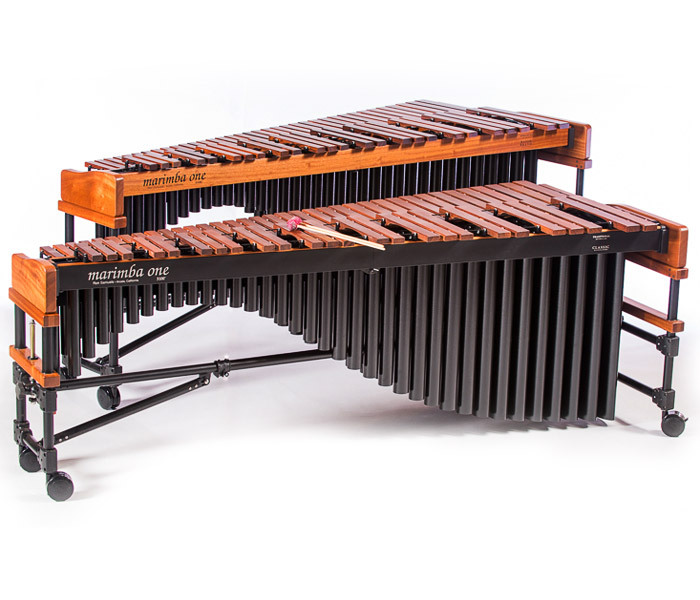 We are the only percussion instrument manufacturer that offers two levels of resonator voicing and three levels of keyboard voicing on our 5.0 and 5.5 octave marimbas. 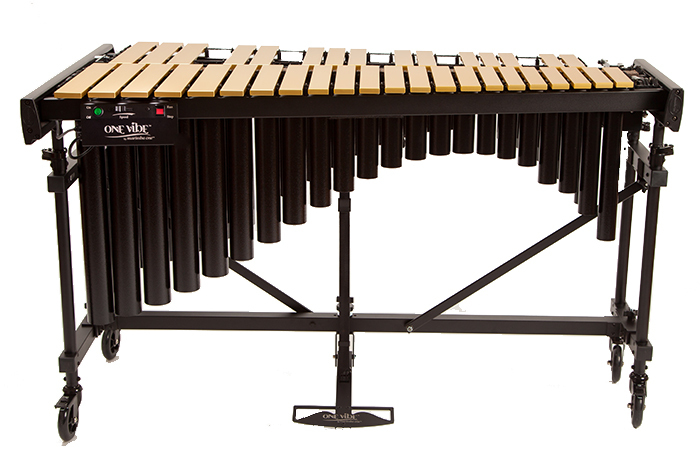 And with the additon of our new Marimba One Wave 4.3 octave marimba we offer our Classic Resonators with three keyboard voicing options. Our highly regarded 3 octave One Vibe has a reputation for its warmth and resonance. The legendary vibes of the 1970's were our inspiration when we set out to reproduce this feel and sound. And with the introduction of the Marimba One Wave model, our sought-after One Vibe sound can be transitioned to the front ensemble. Available in both gold and silver bar finishes. To pursue the perfect sound, every piece of rosewood crafted on our marimbas has been indivually inspected by our own tuners in Central America. By working closely with our mills to cut the trees and mill the rosewood according to our exact specifications, we are insuring that every bar will produce the best possible sound directly from the source.